W.A. Poucher (1891-1988) was a man of diverse talents. He was a pioneering and prolific landscape photographer and the author of a string of illustrated books, among them the famous photographic climbing guides recently reissued by Frances Lincoln. He was also known as 'the father of British perfumery' and was employed for more than thirty years as chief perfumer at Yardleys. His three-volume textbook Perfumes, Cosmetics and Soaps, first published in 1923, is still in print. 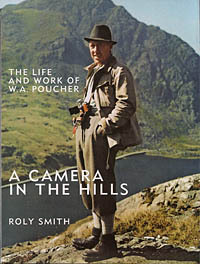 Roly Smith tells the story of a true English eccentric, a man in love with fast cars, mountain scenery, mascara and lipstick, and recounts his dramatic formative experiences during the First World War, his dogged determination to succeed with a sure eye for composition and a nose said to be able to distinguish 1,000 different scents, and his eventual recognition and celebrity. The text is copiously illustrated with Poucher's own powerfully evocative photographs alongside other archival and personal illustrations provided by Poucher's son.